They have now re-released a pair of capital ships, new versions of the Liberté battleship and Cerbere light carrier. These two have changed in design more than some of the other new models, being based on a similar hull that has the same design styling as the Milano and Umberto. At the other end of the scale they also have the diminutive Comète starfighter, tiny but with an amazing amount of detail for something so small. 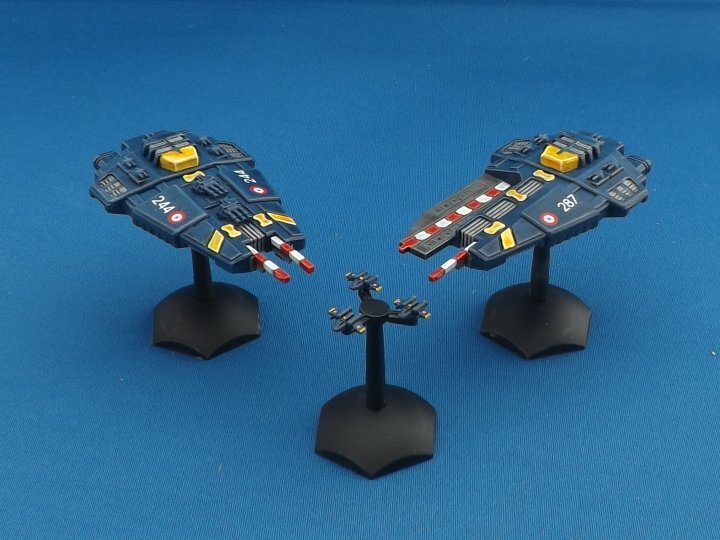 The release also includes a fleet pack containing a Liberté and a Cerbere along with escorts, fighters and bases.